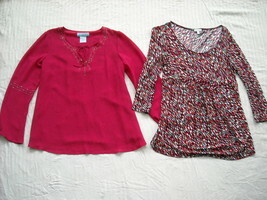 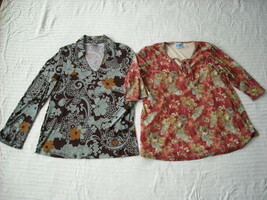 Two colorful maternity tops, both size small. 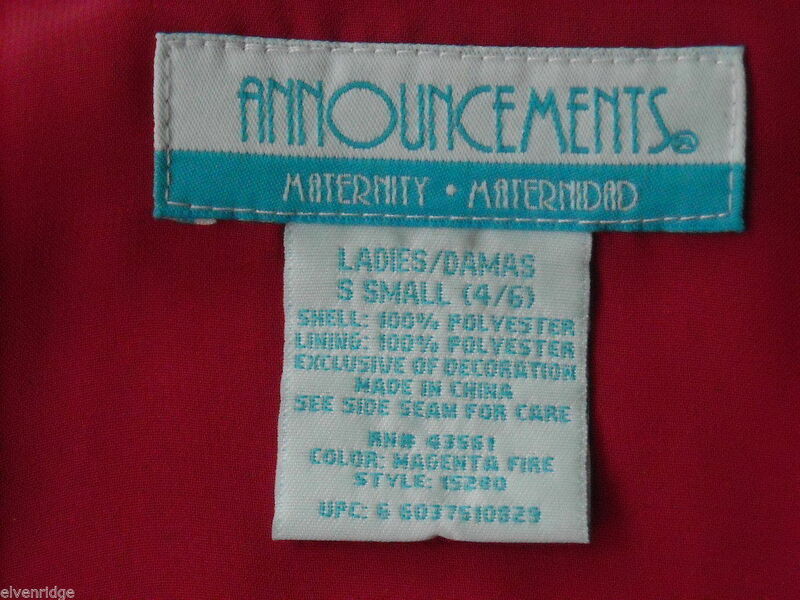 The first one's brand is Announcements. 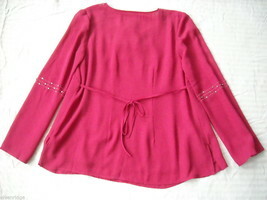 It is a long sleeved blouse that's bright magenta in color and has rhinestones and beads around the neckline and on the sleeves. 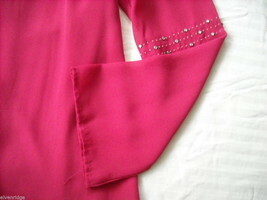 It ties at the neck and at the back. 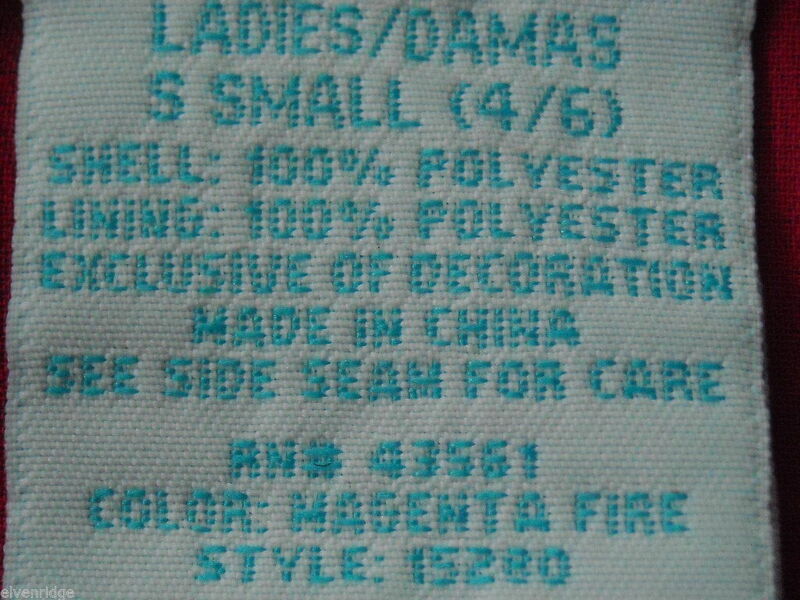 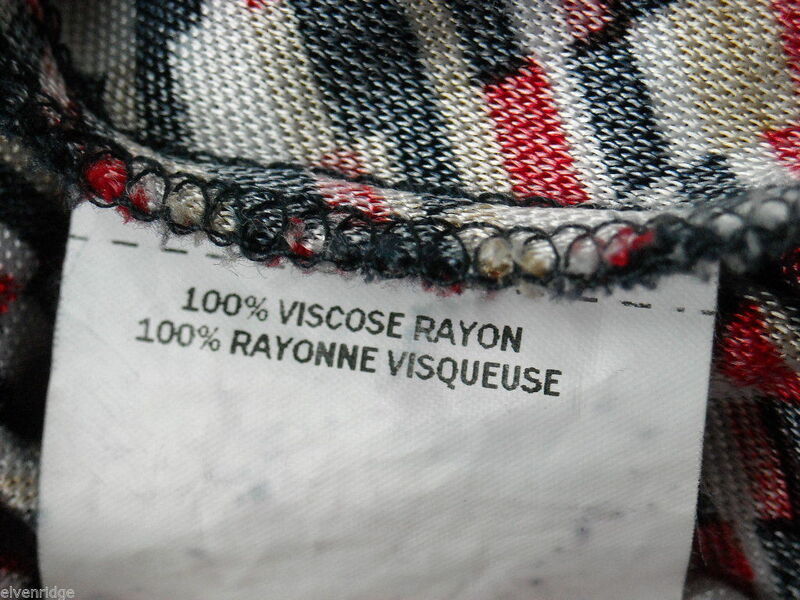 It is 100% polyester. 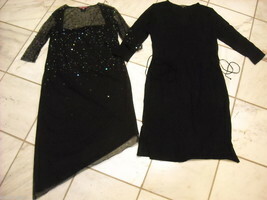 It measures 16" across the shoulders, 18" across the chest, 25" across the bottom, has 23" sleeves and is 27" in length. 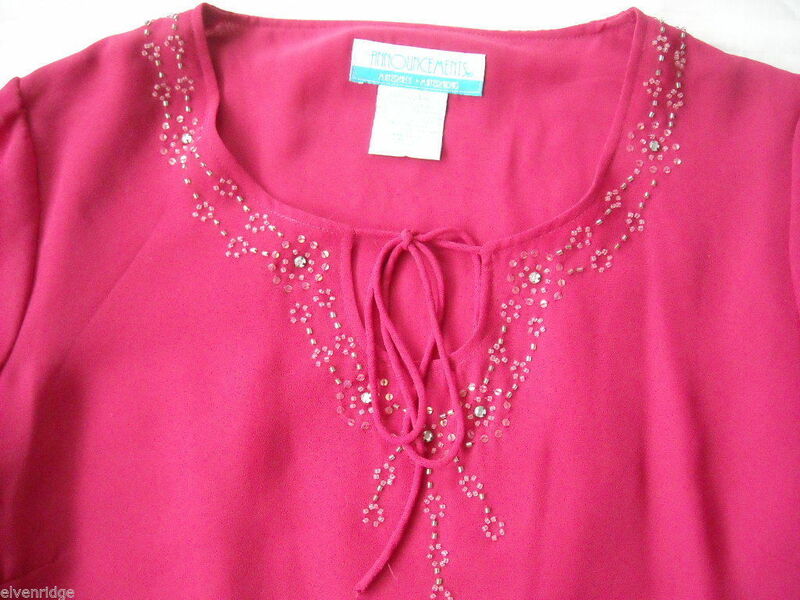 This blouse does have some stains on the front of it. 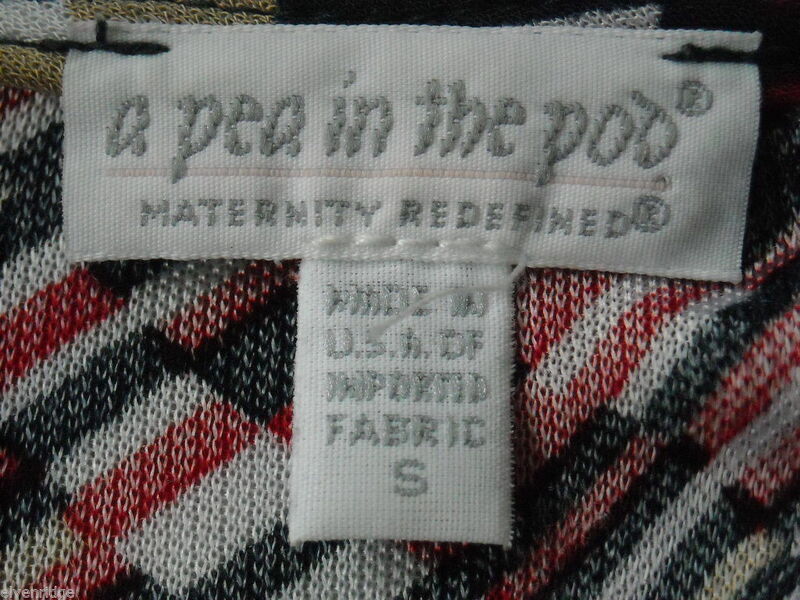 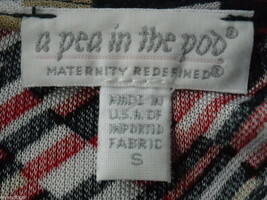 The second shirt is made by A Pea in the Pod. 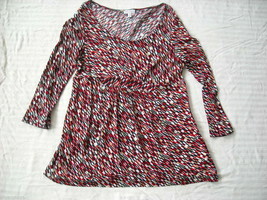 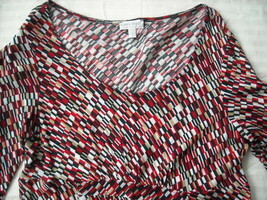 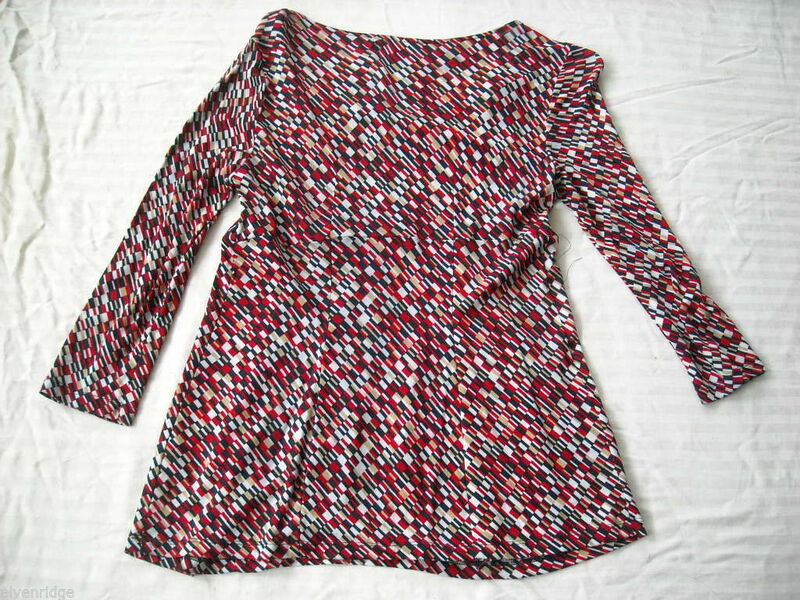 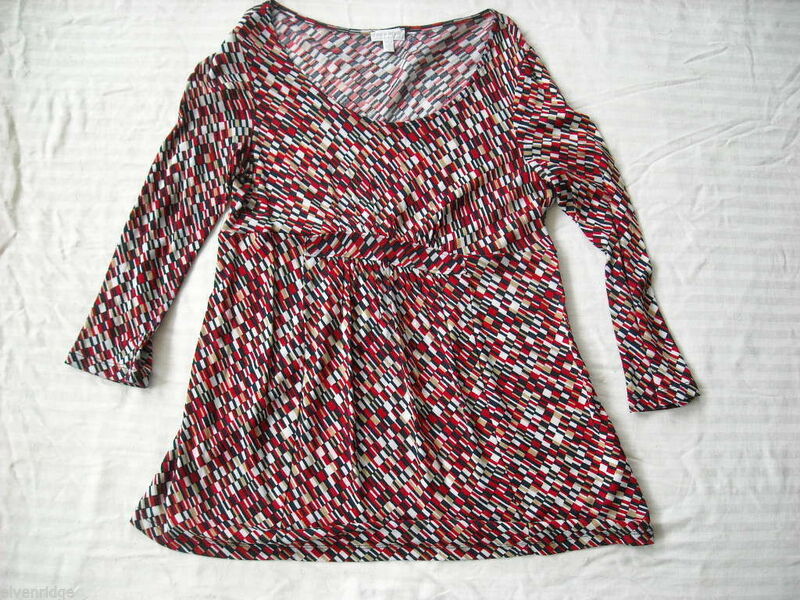 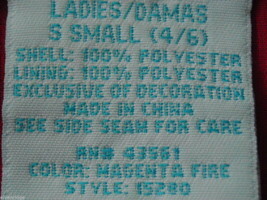 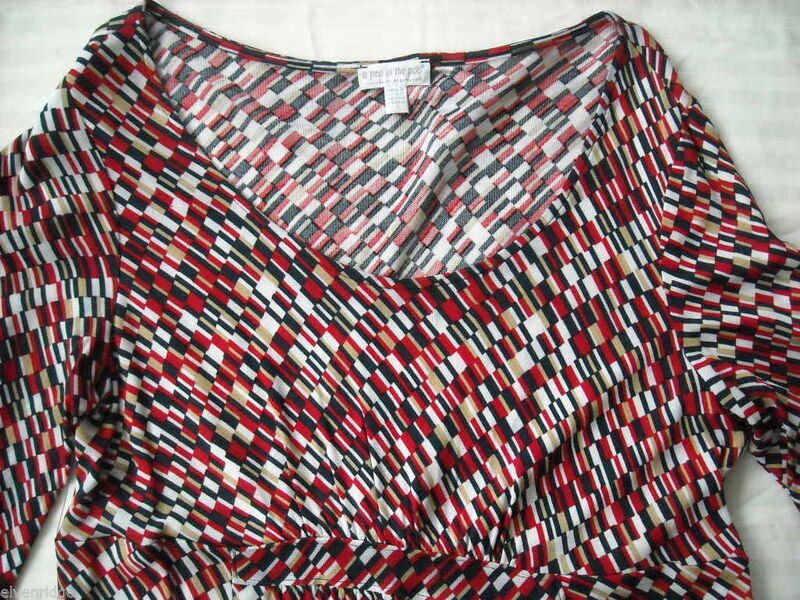 It is a patterned 3/4" sleeved blouse; red, white, blue, and small diagonal blocks. 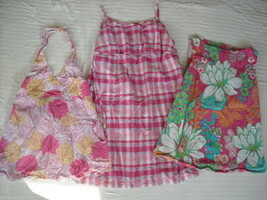 It gathers at the waist. 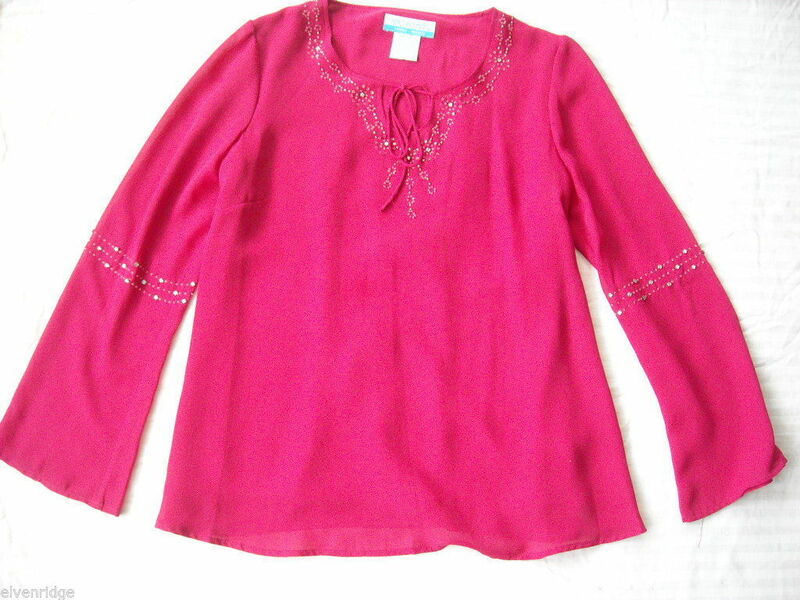 This blouse measures 16" across the shoulders, 16" across the chest, 22" across the bottom, has 19" long sleeves and is 27" in length.